Integrated Circuits or ICs are at the crux of every digital device. In this course, we will see the processes that go into designing a chip, testing it and fabricating it. 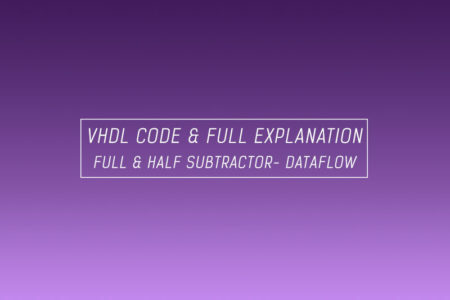 A complete line by line explanation and the VHDL code for full subtractor & half subtractor using the dataflow architecture. 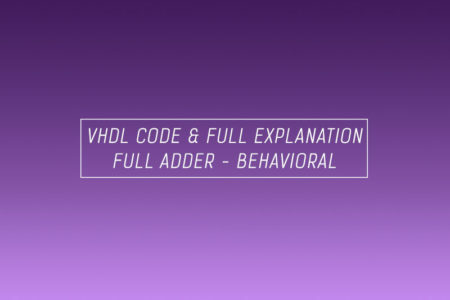 A complete line by line explanation and the VHDL code for full adder using behavioral architecture method. We will be using the if-else logic in this code. 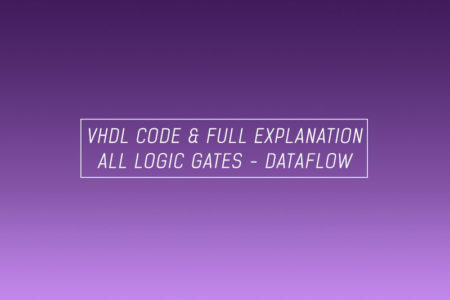 A complete line by line explanation, implementation and the VHDL code for all logic gates using the dataflow architecture. A complete line by line explanation and the VHDL code for full subtractor using behavioral architecture method. We will be using the if-elsif logic in this code. In this next post, we will understand and the VHDL code for half adder & full adder using the dataflow architecture. 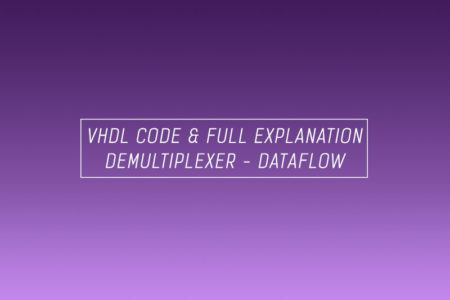 Next up we will write the VHDL code for demultiplexer using the dataflow architecture and select statements. We will code the 1:2 and 1:4 demultiplexer. A complete line by line explanation, implementation and the VHDL code for multiplexer using the dataflow architecture and select statements. Two different methods of writing the VHDL code for an encoder using the dataflow architecture. We will be coding the encoder using equations & truth tables. 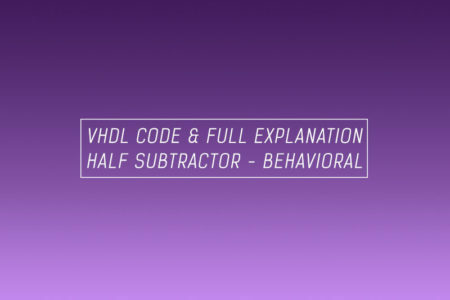 Programming the half subtractor in VHDL using behavioral architecture with if-else-if commands. 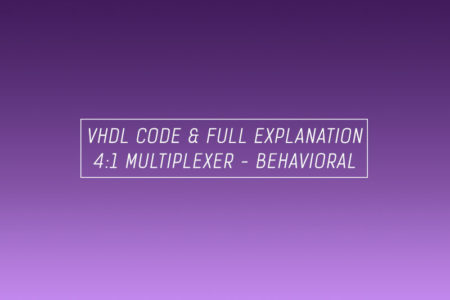 A complete explanation, implementation and the VHDL code for a 4:1 multiplexer using behavioral architecture and if-else statements. 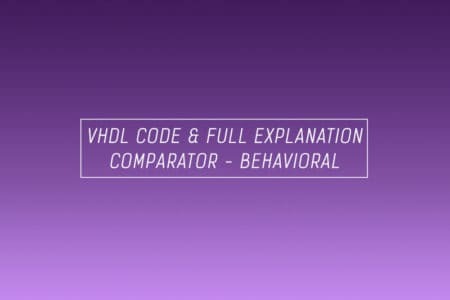 In this tutorial, we will use the case statement of the behavioral architecture to write the VHDL code for comparators. 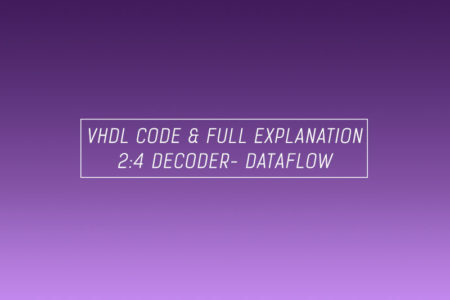 Next up, let’s write the VHDL code for avdecoder using the dataflow architecture. We will be programming a 2:4 decoder.